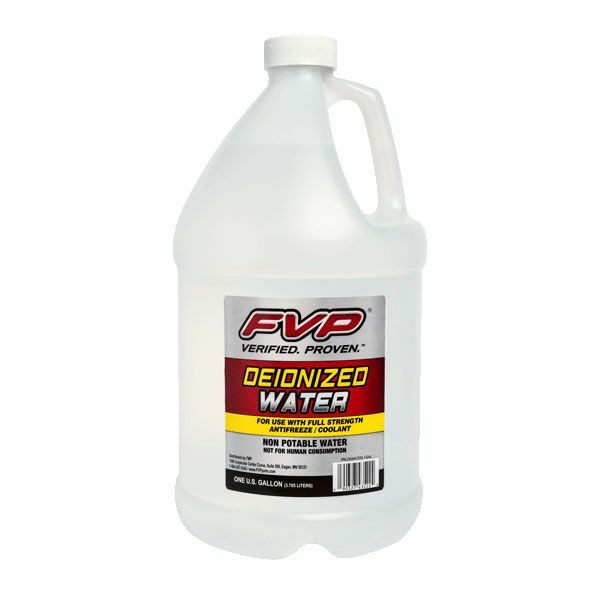 FVP Deionized Water is recommended for use with full strength coolants. Certain auto manufacturers require using deionized water with their coolants. 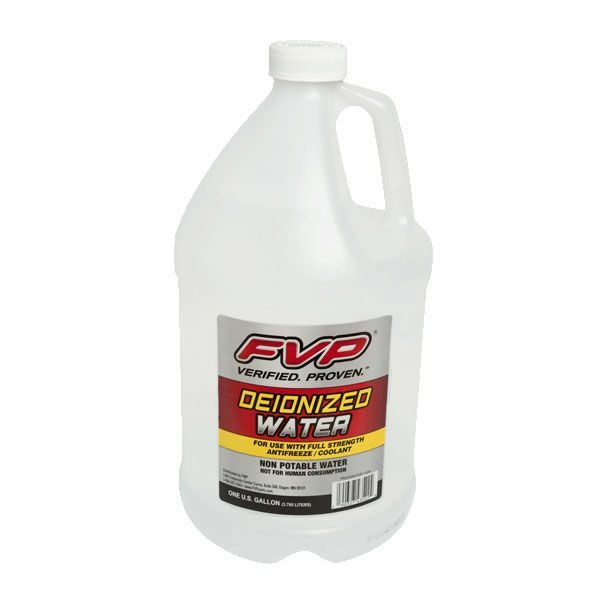 Protect your radiators, cooling systems, and lead-acid batteries with FVP Deionized Water. Removes ions, dissolved mineral salts, and impurities for safe use in vehicle applications.